Location: Womens Building, Oregon State University. Tammy Bray (b. 1945) was the Executive Dean of OSU's Division of Health Sciences and Dean of its College of Public Health and Human Sciences from 2002 to her retirement in 2016. An accomplished researcher in the field of Nutrition, Bray arrived at OSU in 2002 following stints as research professor and administrator at the University of Guelph and the Ohio State University. As an OSU dean, Bray oversaw the expansion and reorganization of what was formerly known as the College of Health and Human Sciences. In 2014 the college achieved a major milestone when it became home to the first accredited public health curriculum in the state of Oregon. 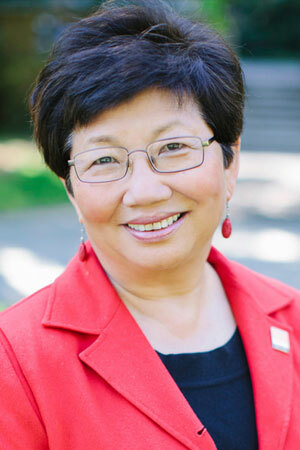 Bray's interview focuses on her upbringing in Taiwan, her academic career, and her efforts as a dean at Oregon State University.